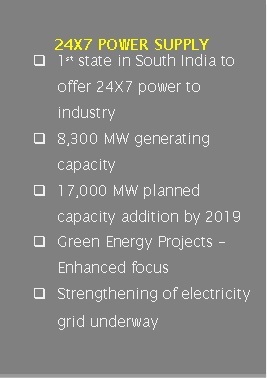 Andhra Pradesh is strategically located on the south-eastern coast of India and is a natural gateway to East and Southeast Asia. 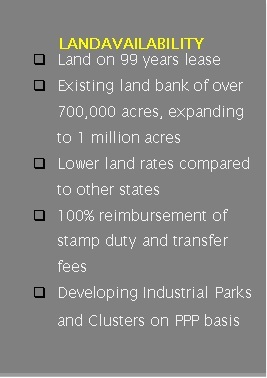 The state has a population of 4.93 crore (as per population census - 2011), accounting for 4% of country’s population, residing in 4.9% of country’s geographical area. Andhra Pradesh has abundant natural resources (barytes, limestone, bauxite, and a number of minor minerals), fertile land and river basins, water resources, extensive canal system and conducive agro-climatic conditions. The State has the second longest coastline in India and is also one of the largest producers of marine products. 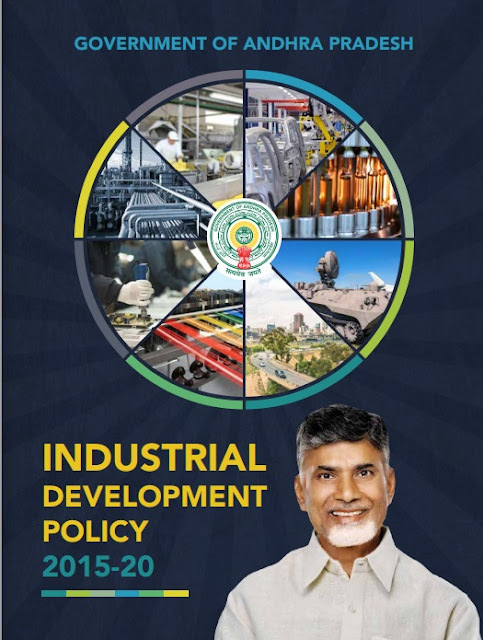 At current prices, the Gross State Domestic Product (GSDP) of Andhra Pradesh was `4,75,859 crore in 2013-14. 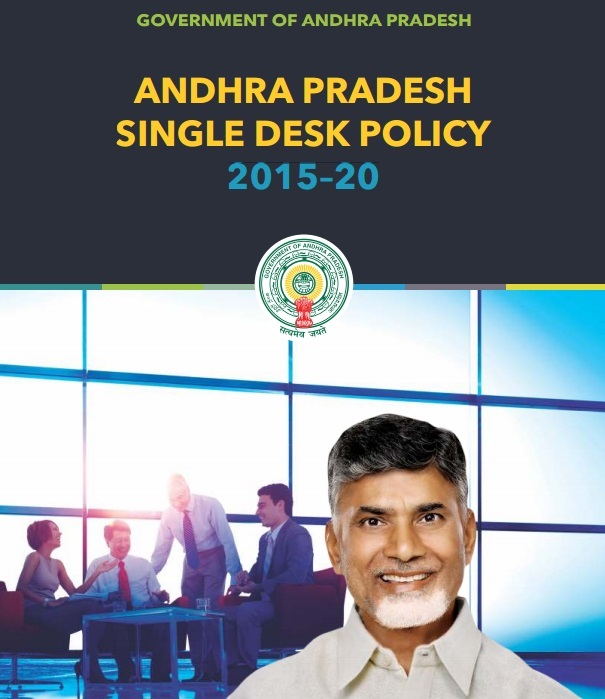 Between 2004-05 and 2012-13, the average annual GSDP growth rate of Andhra Pradesh was 7.25% while the average per capita income at (current prices) increased from `46,345 in 2008-09 to `88,876 in 2013-14. The Advanced Estimate for GSDP in 2014-15 is `5,20,030 crore and the target for GSDP in 2015-16 is `6,36,606 crore (both at current prices). 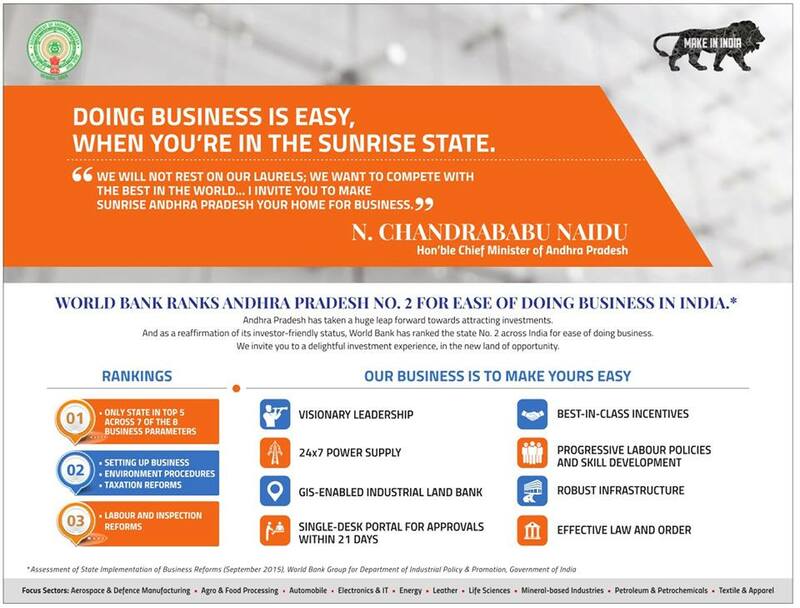 Doing business is easy when you are in the Sunrise State. 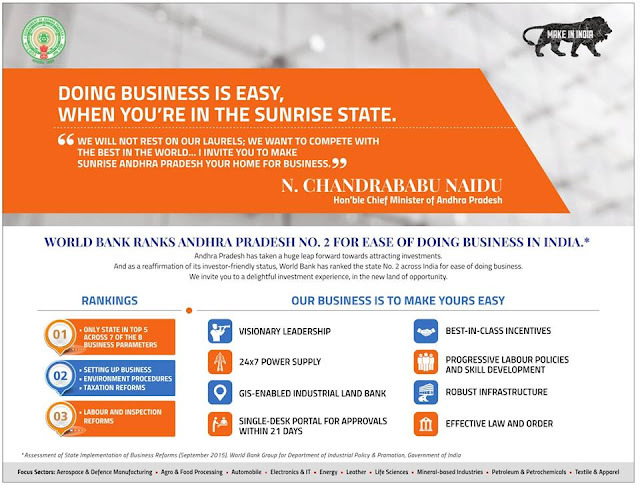 And, our business is to make your easy. 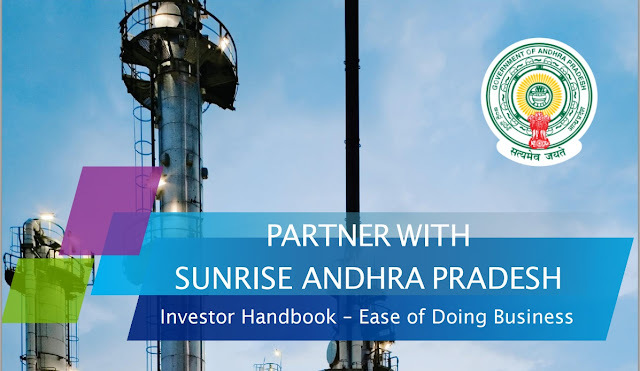 Come, invest in Andhra Pradesh"
If you are looking to invest in Andhra Pradesh, here's our Investor Handbook that will help you understand what we are offering.